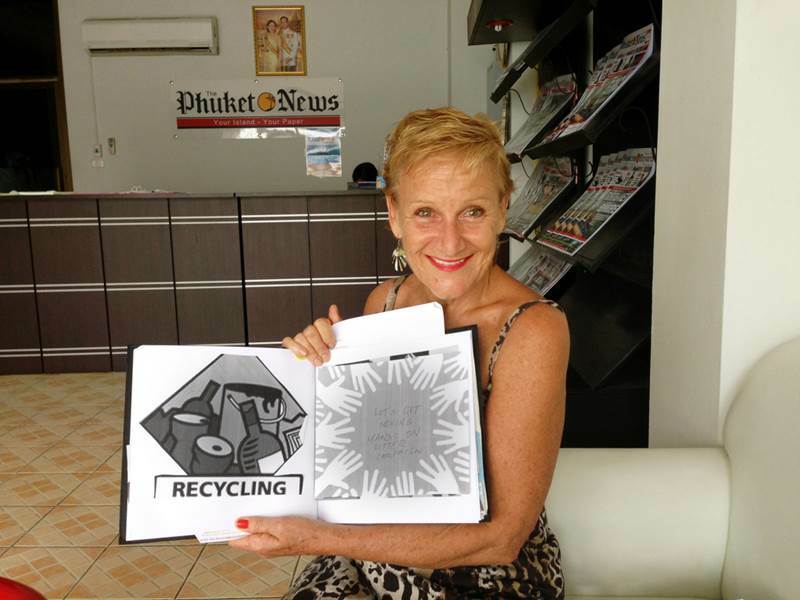 PHUKET: While many local expatriates sit around and complain about how the environment is worsening, while also lamenting what one person can do against a tide of indifference, Debra Mierczak, the ‘leafleting lady’ who was featured in the March 29 edition of The Phuket News, has a lot to be proud of. Instead of composing rhetorical questions behind the safety of a keyboard (you know who you are), Debra poses them in real life – seeking out the people that matter and asking them face-to-face. As well as having printed up anti-littering leaflets and disseminating them in her neighbourhood,the former teacher from Sydney – who lived and worked in Hong Kong for two decades before moving here full-time six months ago – has done more in the last few months of her retirement than many local groups and environmentalists have done in years. So instead of shaking her head and putting it behind her, Debra decided to instead drop by the Rural Irrigation Project Department Office, situated at the front entrance to the Bang Wad Dam. “I just walked in and asked if anyone could understand English. Fortunately a lovely young lady, Mrs Nid, did,” says Debra. As the director of the Rural Irrigation Office couldn’t understand English, Mrs Nid asked Debra if she could write her comments down in English, which she would then translate into Thai and give to him. ‘To my amazement, within two days I returned to the dam to find a team of grass cutters, sweepers and road maintenance trucks cleaning the main parking area, the adjacent park and the road around the dam! Naturally, I returned to thank Khun Nid and her boss for their help,” recounts Debra. 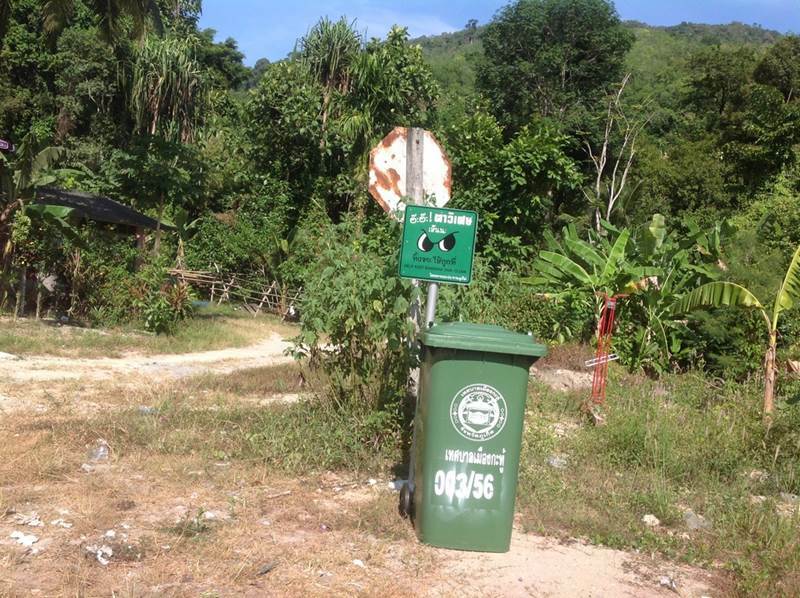 A few months later, she attended a SEEK meeting at the Holiday Inn, which is where she first heard about the popular 1990s Thai anti-littering campaign ‘Magic Eyes’. However, instead of being disheartened, Debra decided that she liked the campaign so much that she would print out the images and start handing them out herself. 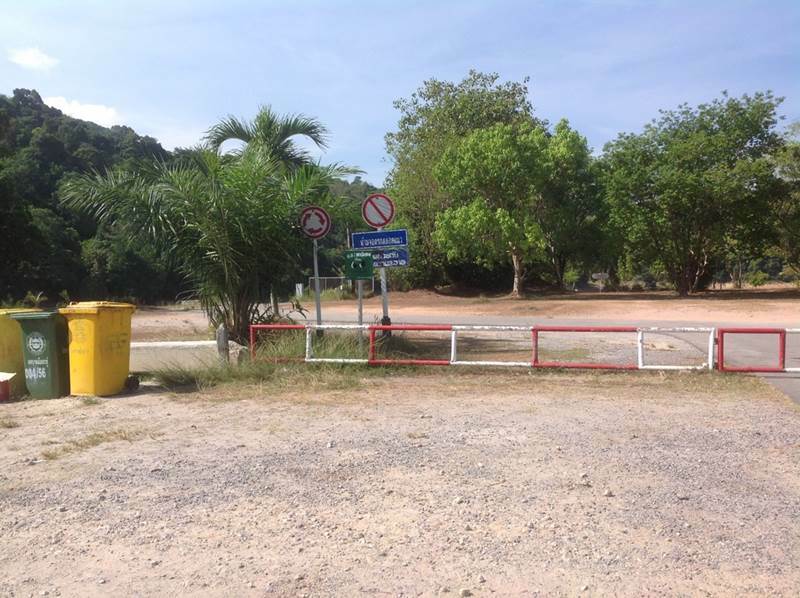 In February, Debra decided to go back to the Rural Irrigation office to meet with the new Director of the Phuket Irrigation Project Phuket, Mr Phatcharamuruk. Again Debra just dropped by, but this time armed with her iPad containing plenty of photos of the dam and the road leading up to it in severe disrepair. 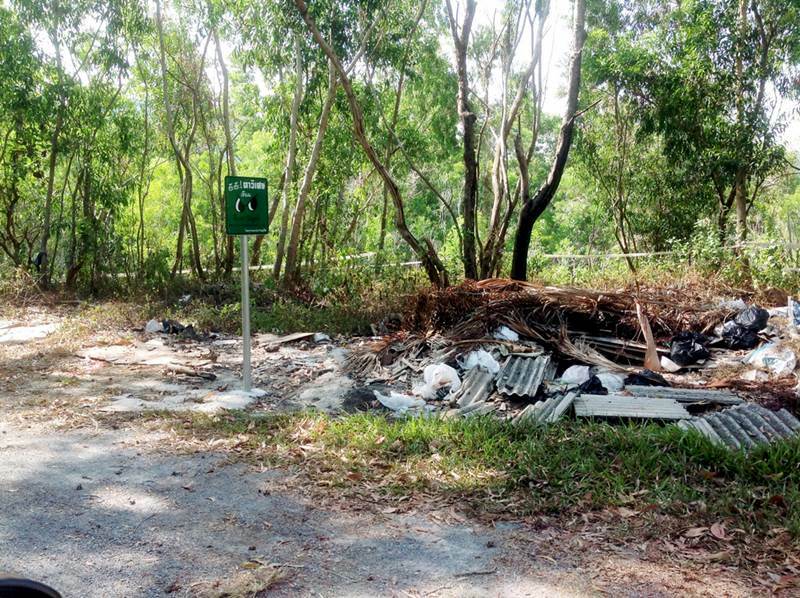 She also had printed out anti-littering logos and a picture of an old Magic Eyes sign she’d taken at Saphan Hin Park in Phuket Town. 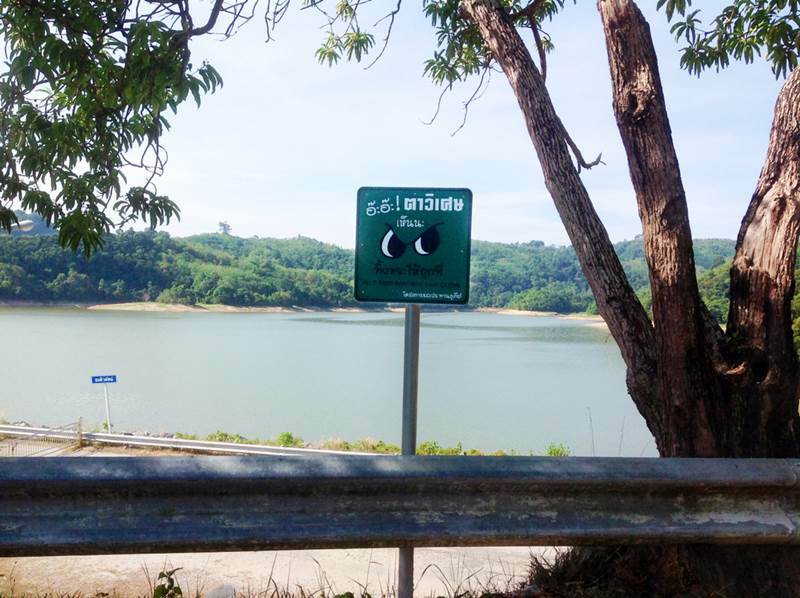 To Debra’s surprise, the Rural Irrigation Project Department Office has, in the last month or so, put up 10 Magic Eyes signs around the Bang Wad Dam, which now has, in English and Thai, ‘Help Keep Bang Wad Dam clean’ written on them. 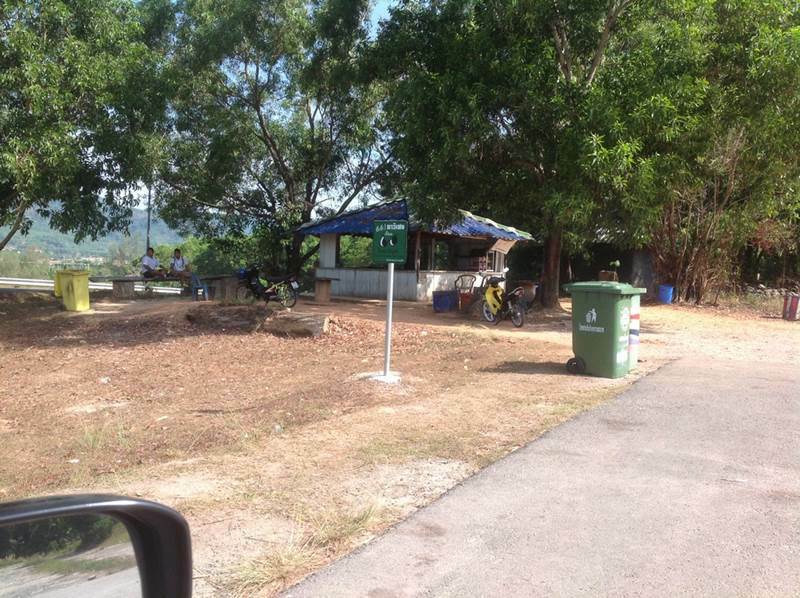 There are now also four new garbage bins in the area, and cleaners who are responsible for the toilet block, the main parking and grass area of the dam. Although Debra is clearly pleased with the result of the speedy work by the Rural Irrigation Project Department Office, she is also clearly frustrated by what she sees as the snail’s pace that other changes are brought about on the island. 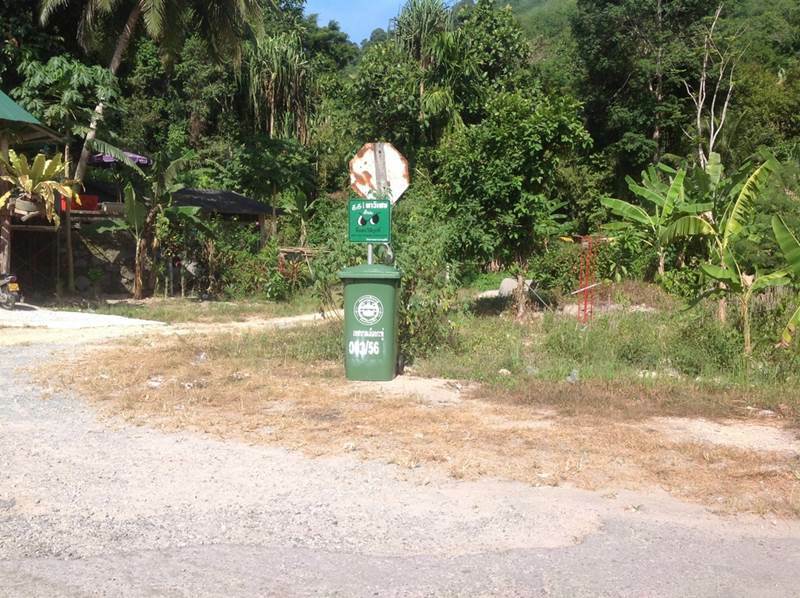 “I am so determined to improve the environment in Phuket as the state that it is in is just so wrong. I just approach people who I think can and should help with a smile, respect and loads of enthusiasm. “But I can only do so much, so I have decided to focus on my area, the road that I drive on and the places that I walk around. I focus on the people responsible for my area, but I would like to speak to the Phuket Governor as well.” Watch this space.